Husband & I don't have a TV. Ninety-nine times out of a hundred, this isn't a problem because a) we don't watch that much TV and b) if there is something we want to watch, we just go to my parents' house and use theirs. However lately with the cold weather, our desire to go out and about has gone down dramatically resulting in us getting a subscription to Netflix. After scouring their TV show selection, I convinced Husband that now was the time for him to see the BBC version of Sherlock Holmes. I had already watched all the episodes (some multiple times) with my parents and was absolutely OBSESSED so I didn't mind seeing them again. We watched both seasons in about a week and a half and Husband is now equally in love with it. There are a lot of reasons why we enjoy this show so much, so I decided to make a list. 1. It's not a graphic, bloody, CSI show. 2. Mrs. Hudson & Molly are adorable. 3. The mysteries are so clever and sneaky, I'm still trying to figure out all of them. 4. The dark humor is hilarious. 5. They take the classic mysteries from the original book series and modernize them in a believable fashion. 6. Jim Moriarity is probably one of my favorite villains ever. 7. The episodes are long but go by fast because you are so engrossed. 8. The plots from episode to episode are intricately intertwined with one another. 9. Benedict Cumberbatch is my fave. 10. You feel incredibly accomplished whenever you solve something before Sherlock does (this has yet to occur for me but I have hope). I have no shame in telling you that I have watched the Season 2 finale about five times to try and solve how he survived. I think I have finally got it after extensive research and note-taking and diagram-drawing. If you're interested in my theory, email me sometime and we can talk Sherlock. My dream (other than playing a princess on "Downton Abbey") is to be featured on this show. Even if I just played a corpse, I would be ecstatic. In conclusion, go watch this show. 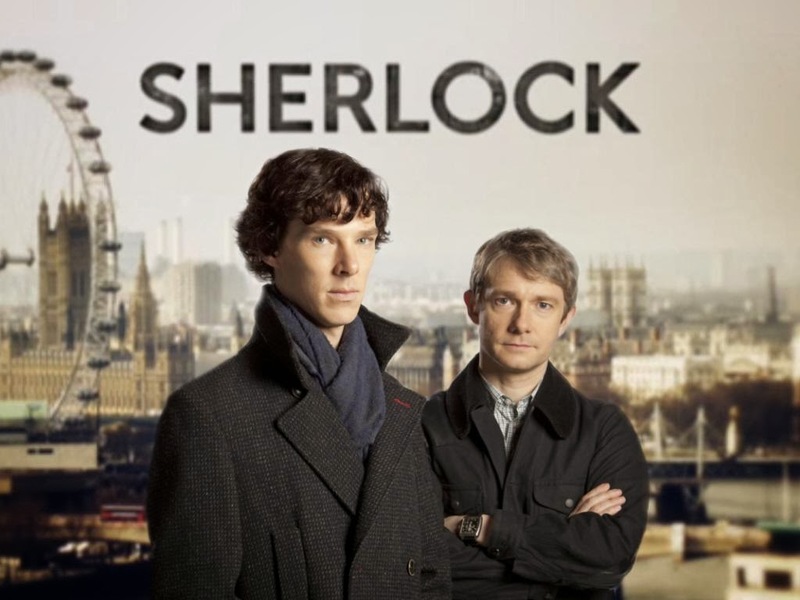 Snuggle up with your sweetheart and a bowl of popcorn and/or hot chocolate and watch as you too become "Sherlocked". I promise you won't regret it. And because this is a fashion blog, here are some pieces you'll need to complete your "Sherlock Look". 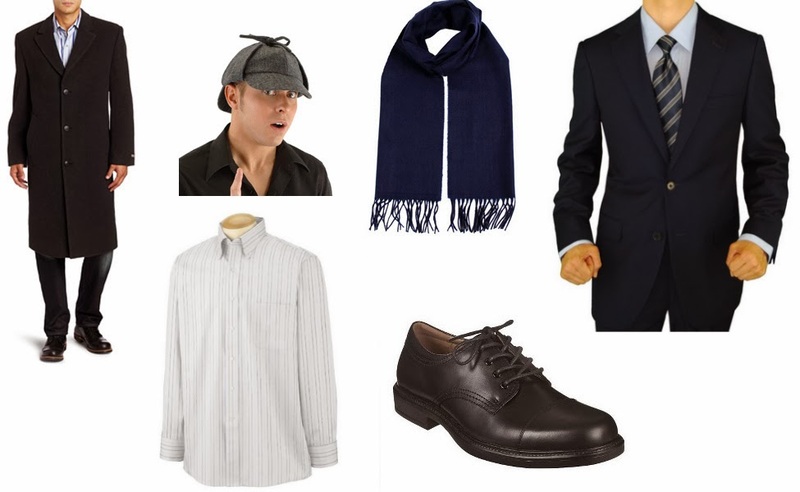 Maybe next year for Halloween, I can go as Sherlock and Husband can go as Watson. What I Should Be Doing: Studying lines. Looking Forward To: Turning in my communications paper so I can stop stressing about it.